﻿﻿Benovia Winery ﻿﻿﻿To Support The D-Day Squadron With Special Pinot Noir Called Liberation. Benovia Winery, C-53 "Spirit of Benovia"
Joe Anderson, chairman of Benovia Winery, is proud to announce that his vintage C-53 Skytrooper airplane, The Spirit of Benovia, will join dozens of World War II-era aircraft in a flight from the United States to Normandy next June to commemorate the 75th anniversary of the Invasion of Normandy. 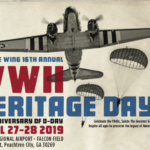 The Spirit of Benovia will join other American aircraft as part of the “D-Day Squadron,” and will rendezvous with a group of British aircraft called “Daks Over Normandy.” Together, the two groups will fly in formation over Normandy on June 6, 2019. 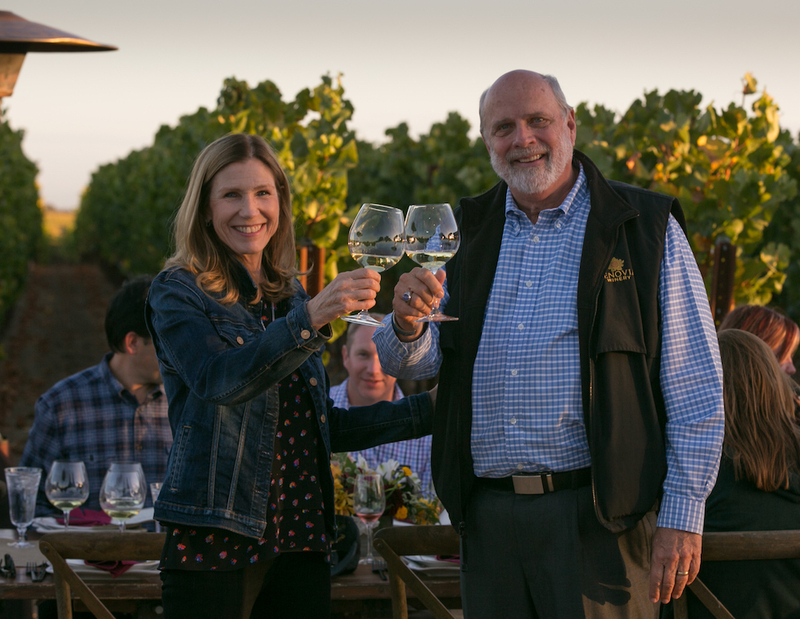 To mark the occasion, and to honor the lives of those who fought in World War II, Benovia winemaker Mike Sullivan has crafted a special Pinot Noir called Liberation. 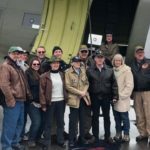 Anderson’s pilot of 13 years, Chief Pilot Jeff Coffman, will fly The Spirit of Benovia to Normandy with Anderson aboard. 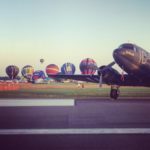 The plane will make the significant journey in stages from Arizona, to Connecticut, Newfoundland, Greenland, Iceland, Scotland, England – and finally, to Normandy on June 6, 2019. 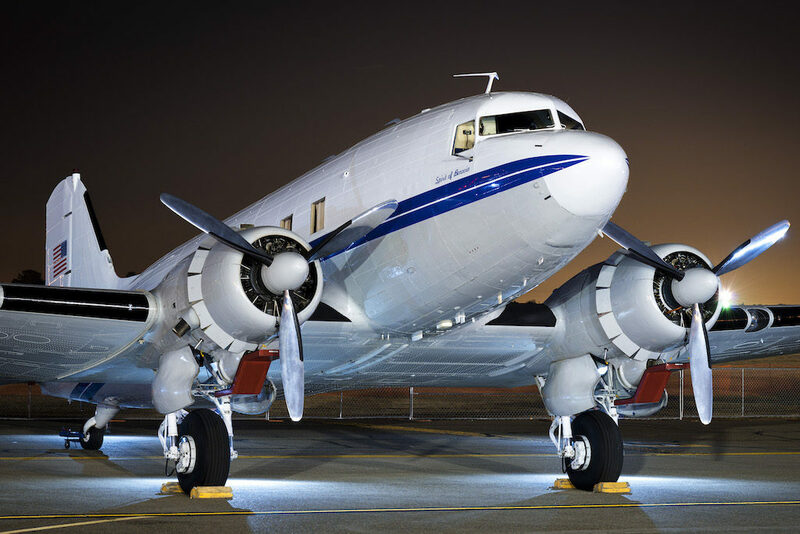 The Spirit of Benovia will remain in Europe and two weeks after the D-Day celebration, the plane will also participate in a commemoration of the 70th anniversary of the Berlin Airlift. During the Berlin Airlift which began in 1948, Allied forces brought food and fuel to residents of West Berlin after the Soviet Union cut off all access to roads, trains and canals into the city. As Anderson and Coffman prepare the plane for these historic events, and throughout the trip, fans can follow the plane’s progress via social media and at www.benoviawinery.com. Before and after the journey, The Spirit of Benovia will be on display at air shows in the U.S. and Europe. To mark the occasion, Benovia winemaker Mike Sullivan has crafted just 56 cases of a special Pinot Noir blend called Liberation, made from Benovia’s Tilton Hill estate vineyard, harvested in 2016. 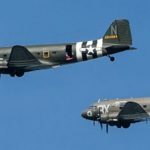 The wine will be $70 per bottle and a percentage of sales from Liberation will be donated to a D-Day Squadron charitable fund that is helping to transport veterans, students and the vintage American aircraft to the celebration in Normandy. A dramatic label was created for Liberation, designed by pilot and artist, Craig Kodera. 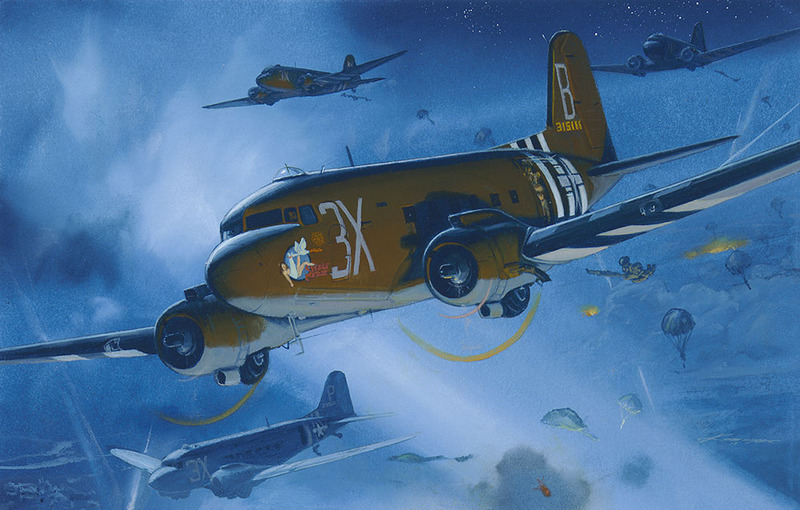 The memorable scene captured on the label depicts an airborne D-Day squad, and the artwork on the nose of the featured plane was inspired by a B-29 that Joe Anderson’s uncle flew in World War II. The exclusive Pinot Noir can be purchased HERE. Support the D-Day Squadron by purchasing the exclusive 2016 “Liberation” Pinot Noir – Click the image below. For more information on The Spirit of Benovia and Liberation, or to set up an interview with Joe Anderson, please contact us at BenoviaPR@glodownead.com or 415-394-6500.